CICERO. M.T. Ciceronis De officiis, ex recensione Heusingerorum. Cato major, Laelius, Paradoxa, Somnium Scipionis, ex recensione J.A. Ernesti..
MUNGEN DER LETZTEN HUNDERT JAHRE, Erste Ausgabe, Der..
Townsend, J. A. B. Index to Saga-Book, Volumes I - XVI..
Eve Golden. Platinum Girl: The Life and Legends of Jean Harlow. 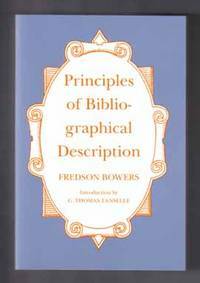 From Principles Of Bibliographical Description to The Restoration Of Leather Bindings, from	The Typographical Association to Systematic Bibliography, we can help you find the book collecting books you are looking for. As the world's largest independent marketplace for new, used and rare books, you always get the best in service and value when you buy from Biblio.co.uk, and all of your purchases are backed by our return guarantee. From the text: "The craze for first impressions of first editions, and first issues of first impressions of first editions, and first states of first impressions of first editions, has occasionally resulted in speculation and bibliographical absurdity among collectors and dealers.... Any minor change made in the course of the original printing is immediately seized on as constituting an 'issue.' 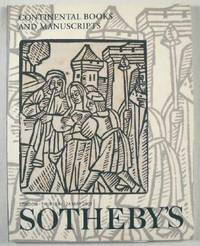 A trial binding used for perhaps twenty copies of salesmen's samples becomes a rare 'first issue.'" Miles Harvey began reporting on Gilbert Bland in 1996 for Outside magazine. He has worked for UPI and In These Times, and he was the book-review columnist for Outside. A graduate of the University of Illinois at Champaign-Urbana and the University of Michigan, he has had a lifelong fascination with maps. He can be reached via the Internet at www.milesharvey.com. From the Hardcover edition.